Take a look at the fascinating history of the Amazon Kindle – not only devices, but also ebooks, and services. The Kindle would not exist without the print book, not only in general meaning but the one more specific, and referring to the company which created it. 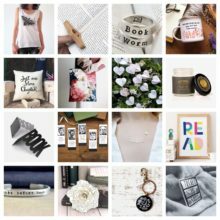 The first Kindle e-reader – and everything that happened later – is an effect of Amazon’s success in online retail business. In 1995, Amazon founder, Jeff Bezos, identified five product categories with the highest e-commerce potential: videos, books, compact discs, computer software, and computer hardware. Eventually, he decided to focus on books. 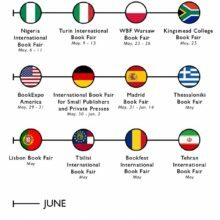 At that time, there was a huge global demand for English-language literature, what combined with relatively low prices and a vast number of available titles made it the most promising category. As a result, Amazon launched as an online bookstore and began service in July 1995. A less-known fact is that the first book was bought on Amazon a few months earlier. One of the beta testers of the service, John Wainwright, ordered a hardcover edition of Douglas Hofstadter’s Fluid Concepts and Creative Analogies on April 3, 1995. Without this single book order, which ignited Amazon’s giant machinery, and without millions of books sold in the next twelve years, we would most probably not see the first Kindle at all. Below you’ll see a timeline of the Kindle. And by “Kindle” we mean the entire Kindle world, not only devices. Please note that this timeline doesn’t include Amazon Fire tablets. 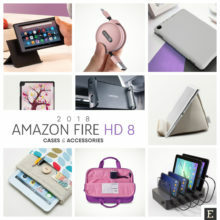 They were called “Kindle” for some time, but as they are now a different brand, we will showcase them in a separate timeline. 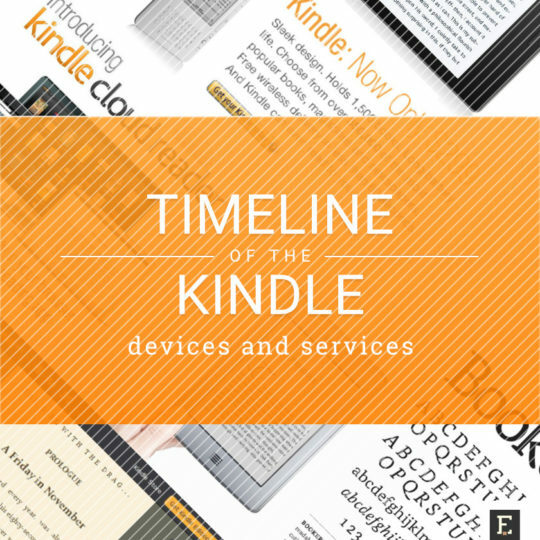 You can also check out our infographic with the evolution of Kindle e-readers and services. The 1st-generation Kindle has an asymmetric shape with the full-size keyboard, white bezel, and a dark 6-inch E-Ink display. It looks outdated compared to other mobile devices of that time. But it beautifully serves the purpose it was designed for: read books conveniently and without any distractions. Kindle 1 has an internal storage of 250 MB, which is enough for 200 medium-length books. 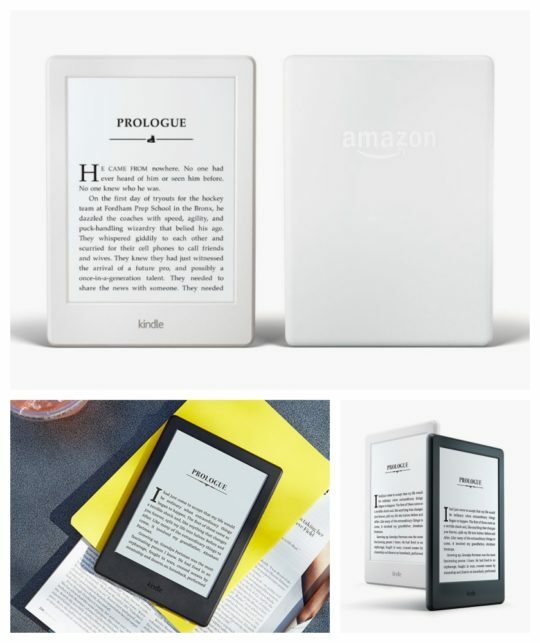 It is Amazon’s only Kindle e-reader that offers a possibility to extend available disc space by a memory card. It also sports a headphone jack and a speaker. The 2007 Kindle costs $399. The battery has to be recharged every other day if the wireless connectivity is turned on. With this option being turned off, you can read one week without recharging. Two weeks after the launch, on December 3, 2007, the first Kindle gets already 863 reviews. The average rating is three stars out of five. A considerable number of customers give the device a 1-star rating. You can still see Kindle 1 product page from the launch date using Wayback Machine. Together with the launch of the 1st-generation Kindle, a store with Kindle ebooks opens within Amazon.com website. 88,000 Kindle ebooks are available at launch. 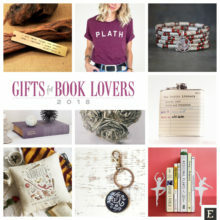 The catalog includes 100 of 112 current New York Times bestsellers. Most of the books in the Kindle Store cost $9.99 or less. In the Kindle Store, users can find not only ebooks but also popular newspapers (The New York Times, Wall Street Journal, and Washington Post among them), as well as magazines, including Time and Forbes. Kindle Store also includes 250 top blogs on technology, business, entertainment, and politics. Two well-known features are available in the Kindle Store since the very beginning: free samples and ability to add own documents. The most popular novel on the list takes the 6th place. It’s The Pillars of the Earth , the first part of the historical series by Ken Follett. 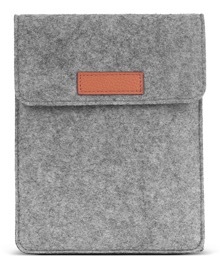 My definition of Kindle: a gadget with stories hiding inside it. The founder of Amazon, Jeff Bezos, reveals that Kindle ebooks account for more than 6% of all books sold on Amazon. He also shares the news that a total number of titles bought on Amazon by customers who purchased the Kindle increase by 2.6 times. Amazon and Simon & Schuster release a joint statement with information that by the end of 2008 Simon & Schuster will make 5,000 additional titles available for Amazon Kindle. It will more than double the number of Simon & Schuster titles offered in the Kindle Store. The 2nd-generation Kindle starts shipping one day ahead of its official launch day set for February 24. Announced on February 9, 2009, the new Kindle costs $359. It is slim, weights 10.2 ounces, and sports a new 5-way controller, which makes it easy to select text for highlight, switch between books in the library, or look up words. 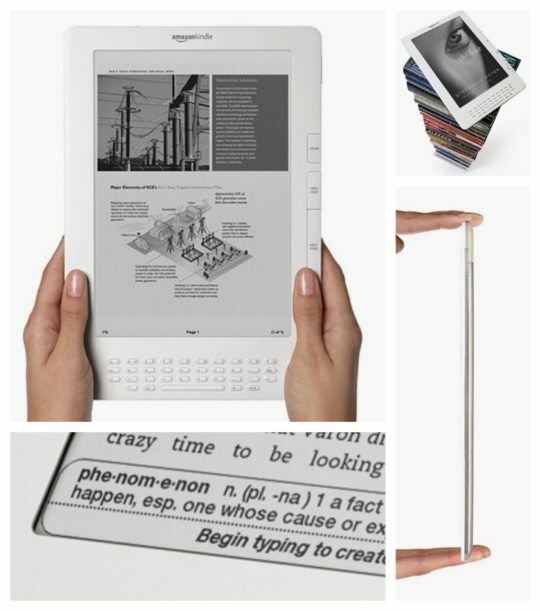 Its internal memory has 2 GB and is eight times bigger than in Kindle 1. It’s seven times bigger if you count space available for the user – approximately 1.4 GB. It can hold more than 1,500 books without images. Kindle 2 offers 25% longer battery life, 20% faster page turns, and crispier text with the display’s 16 shades of gray (versus 4 available in Kindle 1). A new experimental feature called Read-To-Me converts the written to the spoken word. Thanks to that, the user has an option to choose between reading and listening. Pages turn automatically while the text is being spoken, and users can choose between male or female voices. With the 2nd-generation Kindle, you can also download and listen to Audible audiobooks. At that time, more than 50,000 book titles are available as audiobooks. Audio files can only be downloaded to the Kindle using the included USB 2.0 cable. 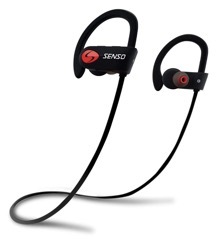 Users can listen to text-to-speech, own audio files, or audiobooks via rear-mounted stereo speakers or by plugging in headphones using 3.5 mm stereo audio jack. Another new feature offered in the 2nd-generation Kindle is an instant dictionary look-up. 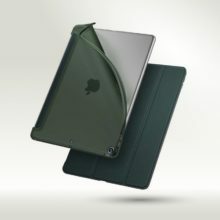 The device comes equipped with the New Oxford American Dictionary, containing over 250,000 definitions. 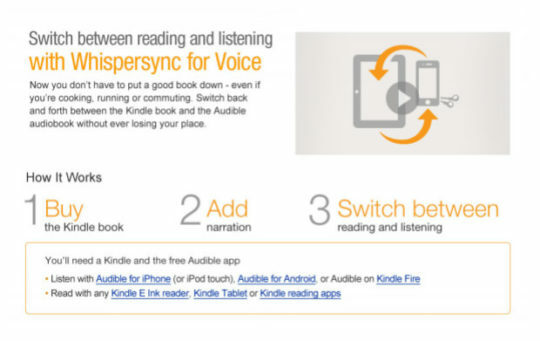 Together with Kindle 2, Amazon is launching Whispersync technology. The feature lets sync content between devices registered by the same Amazon user. The feature can sync the library, reading progress, highlights, and notes between Kindle 2 and Kindle 1. It’s planned to be used in the upcoming Kindle applications. Kindle app for iPhone and iPod Touch is available in Apple’s App Store. The app is free to download and supports the newly launched Whispersync technology. The app lets see and sync Kindle ebooks from the user’s library; add highlights, notes, and bookmarks; change font and paragraph settings. This is the point. One technology doesn’t replace another, it complements. Books are no more threatened by Kindle than stairs by elevators. E-reading’s success depends more on a Kindle behaving like a book and less like a machine. 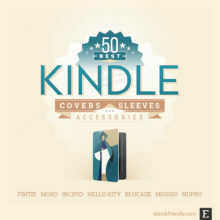 Amazon launches a Kindle Store version optimized to work seamlessly on the iPhone and iPod Touch. From now on, when Kindle app user taps “Get Books” button, the mobile version of the Kindle Store opens in a Safari browser to conveniently browse and buy new ebooks. Amazon’s largest Kindle e-reader features a large 9.7-inch 1200 × 824 px E-Ink display, auto-rotate capability, and a built-in pdf reader. The device is addressed to users who want to read a lot of graphic books, pdf documents, newspapers, magazines, and blogs. The launch price of Kindle DX is set to $489. Its internal memory of 4GB gives approximately 3.3 GB to the user. 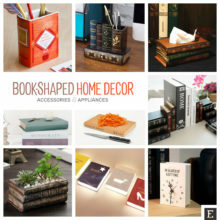 It’s enough to hold up to 3,500 books, periodicals, and personal documents. The battery lets read on a single charge for up to 4 days with wireless on. Kindle DX has 3.5 mm stereo audio jack as well as built-in stereo speakers. Just like Kindle 2, it can play text-to-speech, Audible audiobooks, and user’s personal audio files. Kindle 2 starts shipping from Amazon.com to over 100 countries and destinations around the world. 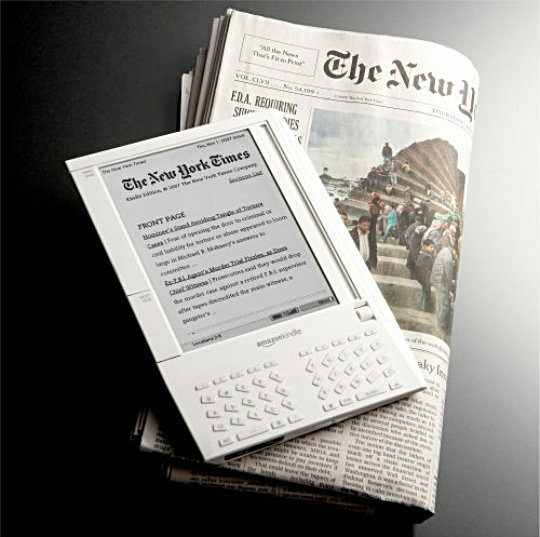 The international version of the e-reader was announced and available for pre-order on October 7. It costs $279, and foreign users can choose from 200,000 English-language books (versus 360 available to customers living in the US). Amazon is introducing Kindle for PC – a free application for reading and managing Kindle ebooks on the Windows computer. The app can be downloaded directly from Amazon.com website. Kindle and Kindle Store launch in Canada. Customers can order the device on Amazon.com website, for the same price as US citizens – $259. Over 300,000 Kindle ebooks and over 90 top newspapers and magazines are available for purchase by Canadian users. Kindle 2 gets a built-in native pdf reader, introduced earlier this year with Kindle DX. It enables the user to read documents in their original pdf format without conversion. The second enhancement introduced today is 85% more battery life. The Kindle can now work on a single charge for seven days, compared to four, with wireless turned on. The battery life enhancement was achieved thanks to improvements in the Kindle’s firmware. Users who bought the device earlier can also enjoy a better battery life after they install a free software update. For the first time, customers purchase more Kindle books than paper books. Amazon announces that Kindle has become the most gifted item in the company’s history. Kindle DX is available for the first time to customers around the world. 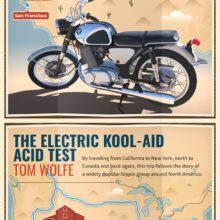 The international version of the e-reader can ship from Amazon.com to over 100 countries and destinations. Kindle for Android available in Android Market. The free application can be used on Android-powered devices around the world and supports Whispersync to save and sync user’s books, highlights, and reading progress. Hachette reveals that up to date James Patterson had sold almost 870,000 Kindle ebooks. Four more authors – Nora Roberts, Charlaine Harris, Stieg Larsson, and Stephenie Meyer – have each sold more than 500,000 books in Kindle format. Jeff Bezos reveals that for the first time in history Amazon customers buy more Kindle books than hardcover books. Over the past month, for every 100 hardcover books Amazon has sold, it has sold 180 Kindle books. It’s astonishing when you consider that we’ve been selling hardcover books for 15 years, and Kindle books for 33 months. Amazon reveals that Stieg Larsson, the author of the bestselling Millennium Trilogy has become the first author to sell over 1 million Kindle books. Larsson becomes the first member of the new Kindle Million Club, which will recognize writers whose entire body of work has sold over 1 million copies in the Kindle Store. The third-generation Kindle e-reader, called “Kindle 3” or “Kindle Keyboard” starts shipping today. Amazon announced the device a month earlier, on July 28. It has a display with 50% better contrast than Kindle 2, while the resolution of 600 × 800 pixels remains the same. Kindle 3 offers 20% faster page turns. New crispier and darker fonts are designed to improve readability. The new Kindle is 21% smaller and 17% lighter than its predecessor. Its weight is only 8.5 ounces (241 grams). The battery can work without the charge for up to four weeks. Kindle Keyboard is the first Kindle that comes in two versions – with and without the wireless connection. The Wi-Fi-only variant costs $139; the wireless is $189. It’s also the first Kindle device that since official launch day can be shipped outside the US. Kindle Keyboard is available to customers from 140 countries and 30 territories around the world. Kindle for the Web a feature that allows readers to read free samples of Kindle books on their web browsers without the need to install anything or register an Amazon account. When users find interesting Kindle books on the Amazon website, they can click “Read first chapter free” button, and the free sample – usually the first chapter – will open within the web page. Amazon reveals that in the past 30 days the customers purchased more Kindle books than print books (hardcover and paperback combined) for the top 10, 25, 100, and 1,000 bestselling books. The Kindle is – and I say this with a mixture of delight and dismay – really rather fabulous. Kindle app for Windows Phone 7 is released. The app includes new features built into a mobile Kindle app for the first time, such as personalized book discovery or recommendation sharing. 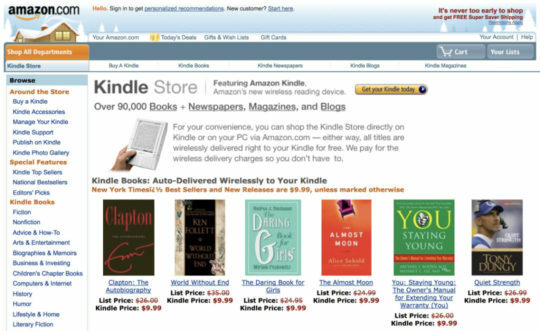 Three months earlier, on October 12, 2010, Amazon made a call to writers, thinkers, business leaders, and publishers to join Kindle in creating a new kind of content – Kindle Singles. 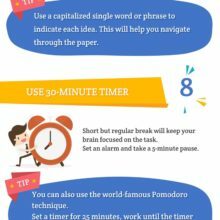 Kindle Singles are “compelling ideas expressed at their natural length.” They are quality reads usually taking between 5,000 and 30,000 words (roughly between 30 and 90 pages of a typical book). The name “single” comes from the world of music. A single is a song that is released separately from an album. Each Kindle Single is focusing on a single idea which should be well researched and well argued. Each title costs much less than a typical novel or a non-fiction book. 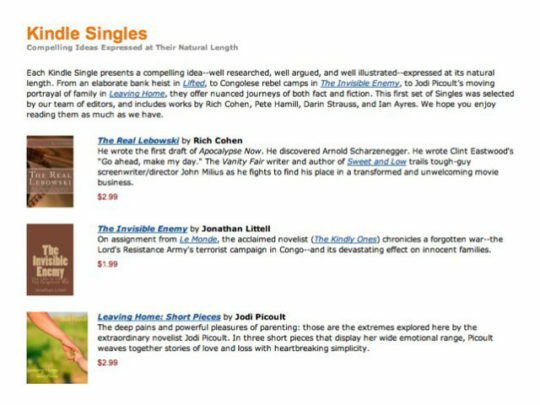 The first set of Kindle Singles includes “The Happiness Manifesto” by Nic Marks, Jodi Picoult’s “Leaving Home,” and “The Dead Women of Juarez” by Robert Andrew Powell. 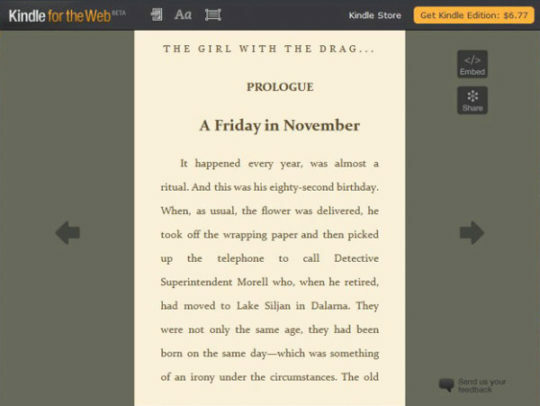 Announced in April, special offers are ads that are displayed on the Kindle screensaver and the bottom of the home screen. Kindle versions with such ads are cheaper regular versions. 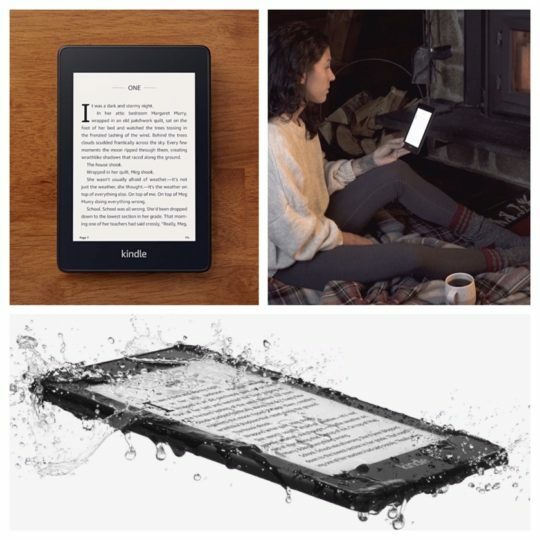 The first Kindle featuring ads and sponsored screensavers is Kindle 3 with Special Offers. It costs $114, which is $25 less than the regular version. To encourage customers to buy Kindle version with ads, Amazon offers special deals, including $10 for $20 Amazon.com Gift Cards. According to today’s announcement, Amazon customers are now buying more Kindle books than all print books – hardcover and paperback – combined. It happens less than four years since the introduction of the 1st-generation Kindle, and sixteen years since the first print book was purchased on Amazon.com website. Amazon reveals that since April 1, 105 Kindle books were bought for every 100 print books. 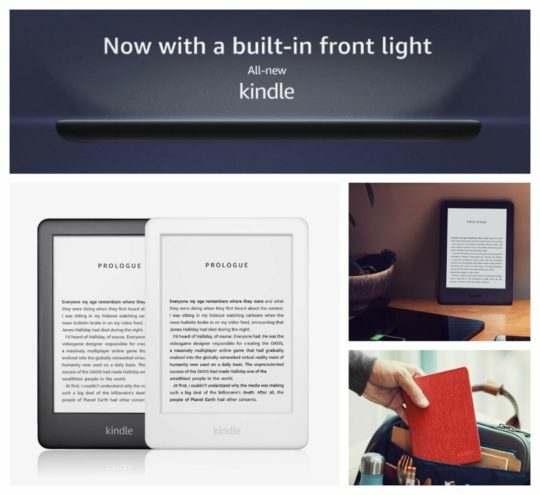 I know the Kindle will eventually carry the day – an electronic reader means no more embarrassing coffee stains, no more library holds and renewals, no more frantic flipping through pages for a lost quote or going to three bookstores in one afternoon to track down an evasive title. Kindle Cloud Reader is a web-based reading application that enables users to read and manage Kindle books instantly using only their web browser. No downloading or installation is required. Just like any other Kindle app, the Cloud Reader syncs the user’s library, reading progress, bookmarks or highlights. 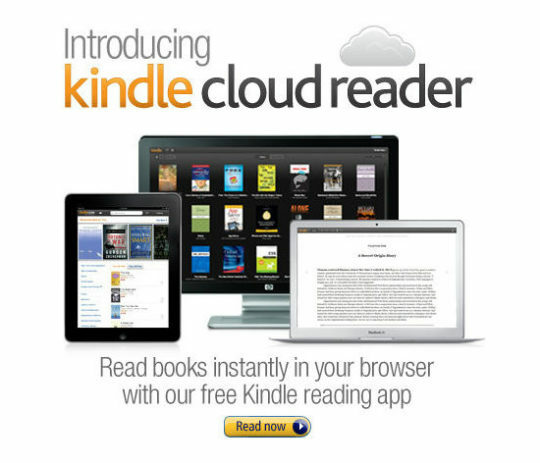 Kindle Cloud Reader is compatible with Chrome and Safari browsers on desktop computers. A version optimized for Safari on the iPad is also available. 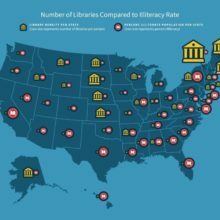 Kindle ebooks are now available to borrow from over 11,000 public libraries in the United States. To borrow a Kindle book, customers visit their local library’s website and select the title they want to read. Then they choose “Send to Kindle” option and will be redirected to Amazon website where they finalize the process. The book will be delivered in seconds to their preferred e-reading device or application. Kindle books borrowed from a library are the same books as the ones bought in the Kindle Store. You can read them on the Kindle e-reader or in a Kindle mobile app, using the same unique features these reading environments provide. Amazon’s newest 4th-generation Kindle e-reader is the first one without the full-size keyboard. It sports five buttons and a cursor pad instead. The device is 30% lighter and 18% smaller than Kindle 3. The silver-gray e-reader is considerably cheaper than its predecessor. The version with special offers costs only $79. Reduction in size and price was achieved at the cost of the internal memory. 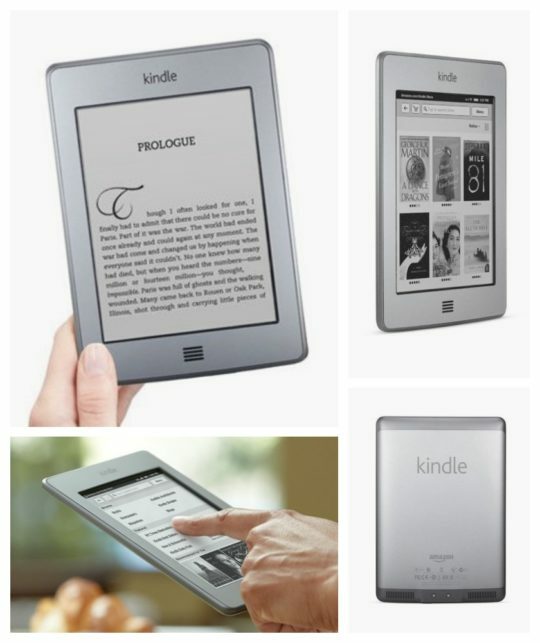 The new device offers 2 GB compared to 4 GB of Kindle Keyboard. The device doesn’t support audiobooks and doesn’t have a headphone jack or built-in speakers. Kindle Owners’ Lending Library (better known as KOLL) is a part of Amazon Prime multi-benefit subscription program. Owners of Kindle e-readers or Amazon Fire tablets (but not Kindle applications) can borrow for free from thousands of eligible Kindle ebooks, including 100 current and former New York Times bestsellers. At launch, the number of books in KOLL catalog is 5,000, but it’s quickly growing. There are no due dates, but the user can borrow one book at a time, and no more than one book per month. For a lot of people who are more and more immersed into technology, the Kindle became a way back into reading books. 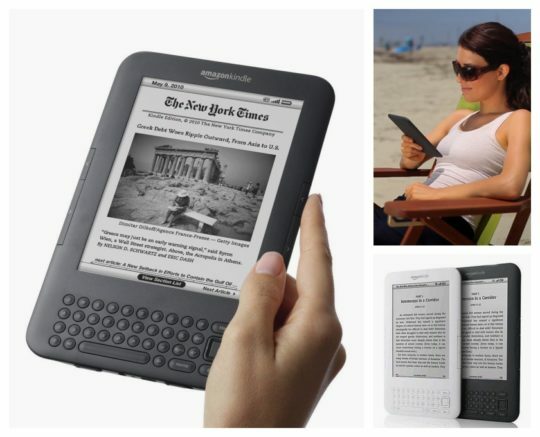 Announced the same day as Kindle 4 (September 28), Kindle Touch is Amazon’s first e-reader with the touch-responsive display. It’s also the first e-reader to support an advanced reference tool called X-Ray. Amazon Prime members will be able to use Kindle Touch to borrow books from Kindle Owners’ Lending Library. 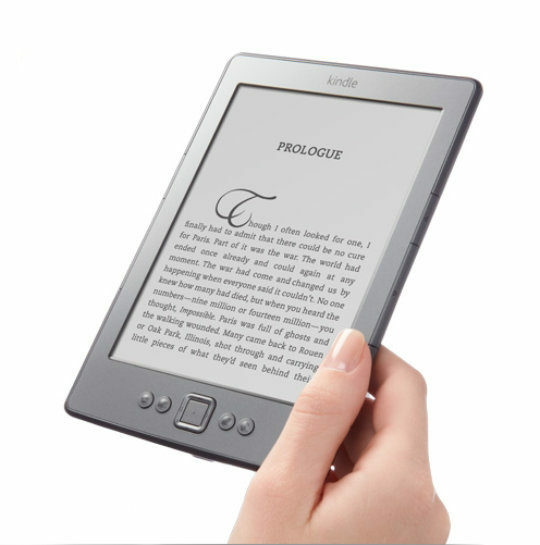 The e-reader features internal storage of 4 GB (for approximately 3,000 books), a deep integration with Audible, and battery life extended to two months. The Wi-Fi-only version with special offers costs $99. 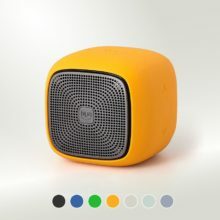 The version with Wi-Fi+3G and no ads is available for $189. X-Ray is a unique, highly advanced reference tool, developed by Amazon to be used in Kindle e-readers and applications. The feature helps the reader easier and deeper explore the book. With a single tap, you can see the passages from across the book that refer to characters, ideas, places, or topics mentioned in the text. X-Ray is not only a must-have tool to follow more complicated plots but is a great way to extend knowledge about topics the book is about, by providing extended definitions from Wikipedia and Shelfari. Kindle Touch starts shipping to international customers of Amazon.com. The list of locations the Kindle can be shipped includes 175 countries and territories. Members of Amazon Prime can enjoy Harry Potter books for free. All seven parts of the famous J.K. Rowling’s series are now available to borrow from Kindle Owners’ Lending Library (KOLL). Harry Potter editions included in Kindle Owners’ Lending Library are not only in English but also French, Italian, German and Spanish. Amazon reveals that Kindle-exclusive books have been downloaded more than 100 million times. At the time of the announcement, there are over 180,00 Kindle-exclusive ebooks in the Kindle Store. You can’t find them in any other ebook platform. Whispersync for Voice is a new part of Amazon’s ever-growing Whispersync technology aimed at improving user’s reading experience on several connected devices. Whispersync for Voice was developed in cooperation with Audible. It enables the user to seamlessly switch between reading a Kindle book and listening to its audiobook version – all in just a few taps, within one book. The feature helps readers enjoy following the story, no matter what they are doing. Kindle Serials are introduced. They are a new way to enjoy serialized stories. A digital format enables publishers and authors to release their works in parts. It’s is what Kindle Serials are about. They are stories published in episodes. When you buy Kindle Serial, you will immediately receive all currently available episodes. Future parts will arrive at your Kindle or Kindle app once they are released. The device features a patented built-in front light, which enables users to read even in complete darkness without the need to have an external source of light. The screen is lighted by four small LED lights located on its edges. Another highly advanced feature is the newest 6-inch e-paper display. With 212 ppi pixel density, it has a resolution of 758 × 1024 px, giving 62% more pixels than Kindle Touch. The screen also has a 25% better contrast. All that makes text look crisp no matter the size, and images show more details. A battery is Paperwhite’s another strong point. Even with the front light on, the device can run up to eight weeks on a single charge. The 1st-generation Kindle Paperwhite is available from $119 (Wi-Fi version with special offers). The Kindle – by design – is digital paper. And the tablet – by the hubris of its own design – is not. 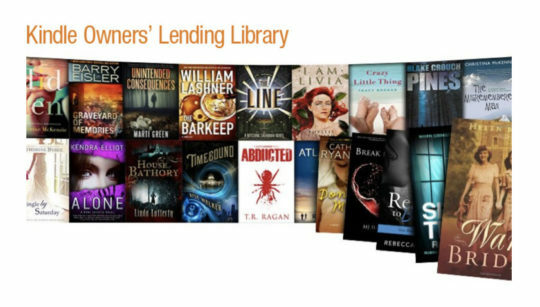 Amazon reveals that later this month Kindle Owners’ Lending Library will be available to users from the UK, Germany, and France. Members of Amazon Prime program will be able to choose from over 200,000 eligible titles and borrow one book per month with no due dates. Kindle for Windows 8 is available for download. The application is tailored to devices running Windows 8 and offers features similar to other apps, including syncing of bookmarks, notes, and reading progress. 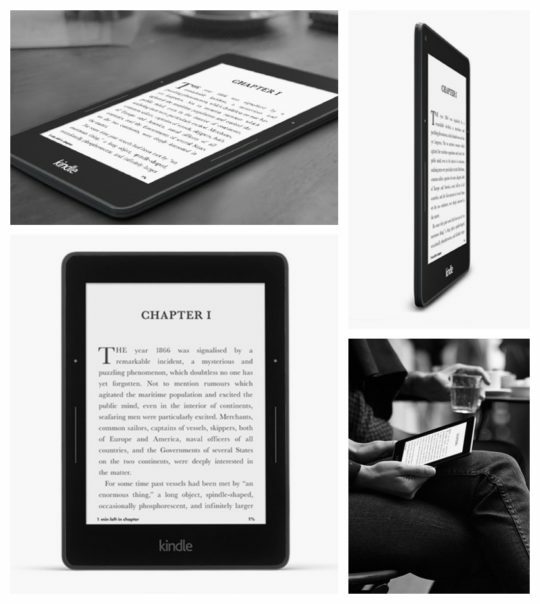 Kindle Paperwhite 1 is available for readers in 175 countries around the world. Foreign customers can order on Amazon.com two international versions. Kindle Paperwhite Wi-Fi costs $139; Wi-Fi + 3G version is available for $199. Amazon brings accessibility features to Kindle applications. New features enable blind and visually impaired users to read books aloud, navigate their Kindle library, sort and search books, add notes and highlights, use X-Ray, or share passages to social media. The first app to support accessibility features is Kindle for iOS. Other applications are planned to join in the future. Kindle Worlds is Amazon’s new innovative publishing model focused on fan fiction. Any writer can publish authorized stories inspired and based on original stories and characters. The platform opens with licenses from Warner Bros., Valiant Entertainment, and authors such as Hugh Howey, Barry Eisler, or Neal Stephenson. Over 50 fan fiction stories are available at launch. They are written by several well-known authors such as Barbara Freethy, Charles Sasser, Anita Clenney, or Robert Rodi. Compared to its predecessor, the 2nd-generation Paperwhite sports the display with the higher contrast. The new front-light technology allows the light to distribute more evenly. 1 GHz processor is 25% faster, what results in faster page turns and better response to touch. The price of the Kindle Paperwhite 2 version with Wi-Fi and ads is $119. 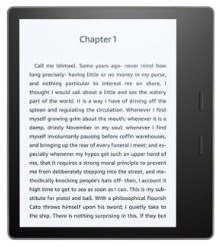 The 2nd-generation Kindle Paperwhite with 3G and no ads, priced $189, is planned to ship later – on November 5, 2013. Kindle apps for iOS and Android come with Audible support. Amazon introduced Whispersync for Voice in September 2012. Now the technology comes to tablets and smartphones operated by Android and iOS systems. From now on, using Kindle for Android and Kindle for iOS application you won’t only read ebooks but also listen to their audiobook versions. The Whispersync for Voice enables the user to seamlessly switch between reading and listening without leaving the app and the book. 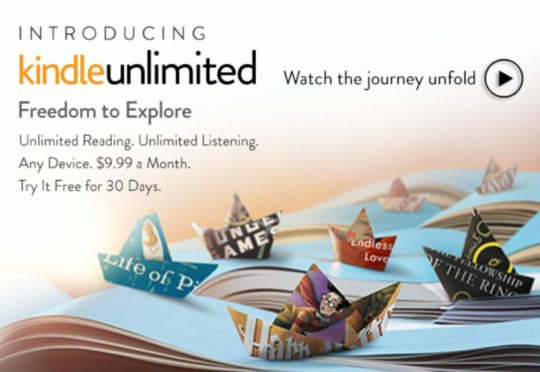 Kindle Unlimited is an ebook subscription service which gives members unlimited access to a growing collection of Kindle ebooks and Audible audiobooks. The fee for using Kindle Unlimited is $9.99 per month. Other subscription options – 6, 12, and 24-month pre-paid plans – will be introduced later. At launch, the catalog of Kindle Unlimited ebooks includes 640,000 titles. Most of them are books published exclusively in the Kindle Store. The Kindle Unlimited subscriber has an unlimited access to all eligible books but can download and keep up to ten titles at a time. Unlike Kindle Owners’ Lending Library, Kindle Unlimited can be accessed not only from Amazon devices (Kindle e-readers or Fire tablets) but also Kindle applications. The new model is the first basic Kindle without buttons. It’s fully operated by the touchscreen. 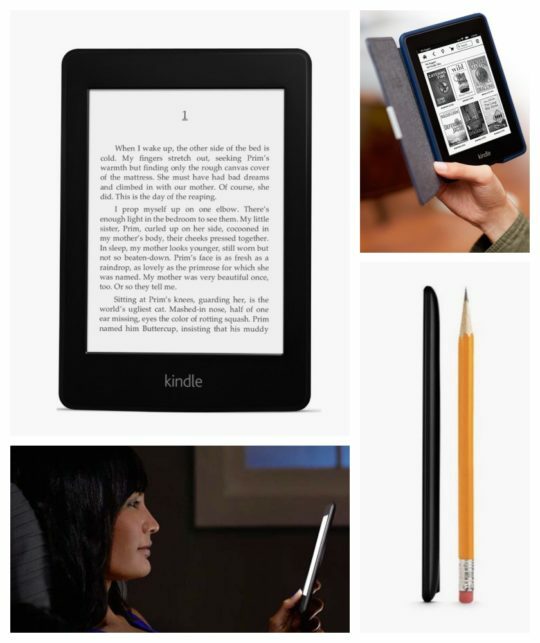 Compared to the basic Kindle released in September 2012 (Kindle 5), the new device sports twice the storage (4 GB). A single battery charge lasts up to four weeks. The version with special offers costs $79. The one without ads is $99. Voyage is Amazon’s most advanced e-reader so far. It’s the thinnest Kindle ever produced. Its depth is 0.3 in (7.6 mm). 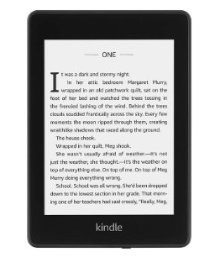 Weighing only 180 g, Kindle Voyage has a flush glass front and magnesium back. The device features a new way to turn pages, called Page Press, with custom-designed force sensors located under page-turn buttons. To turn the page you need to press lightly, and the operation will be confirmed by a haptic. A next-generation 6-inch display offers the highest resolution (1430 × 1080 px) and pixel density (300ppi) available in e-readers at that time. The contrast is 25% higher than in the 2nd-generation Kindle Paperwhite. An improved front light consists now of six LED lamps for even light distribution. A built-in light sensor allows the brightness of the screen to be automatically adjusted to current light conditions. Entry version of Kindle Voyage (Wi-Fi, ads) costs $199. The most expensive variant with Wi-Fi + 3G (no ads) is $289. 3rd-generation Kindle Paperwhite offers the same pixel density as the top-shelf Kindle Voyage – 300 ppi – for crisp, laser-quality text and more detailed images. With a resolution of 1440 × 1080 px, the new Paperwhite offers twice as many pixels as the 1st-generation Paperwhite. 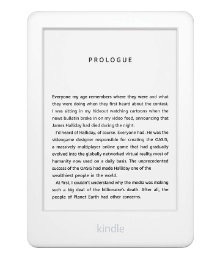 The new Paperwhite is Amazon’s first e-reader to feature the new Bookerly font and improved typography. The price of Kindle Paperwhite 3 is kept at the same level as Paperwhite 2 from 2013. The cheapest version (Wi-Fi and ads) is $119. 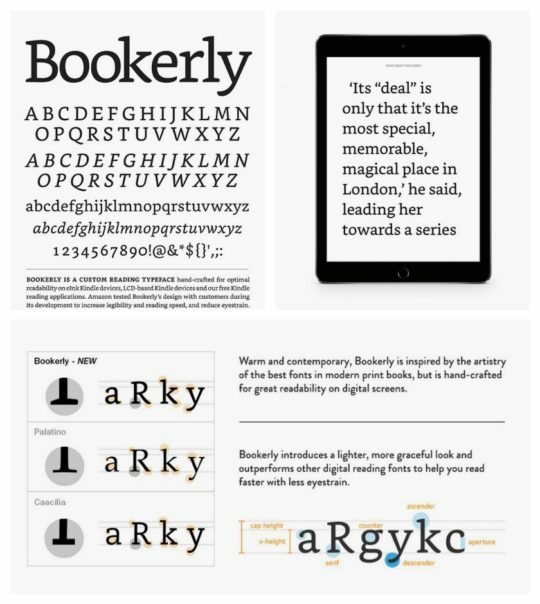 Bookerly font is used for the first time in the 3rd-generation Kindle Paperwhite launched today. It is a new font “inspired by the artistry of the best fonts in modern print books.” But its purpose is different. The focus was made to optimize reading experience on the screen. The font looks good in any size and on any screen, e-paper or LCD. It is lighter and has a more modern look than other digital reading fonts while maintaining maximum readability. 1st-generation Kindle Oasis is the thinnest and lightest Kindle ever made. Weighing only 4.6 oz (131 g) without the battery cover, it is just 3.4 mm on the thinner side. A reimagined, asymmetric construction shifts the gravity center to the user’s palm. Combined with advanced page-turn buttons it makes one-handed reading much more comfortable. Another unique feature is a dual-battery system. One battery is built into the device; the other one is in the detachable case. Once you connect the cover to the Oasis, the battery starts charging the e-reader immediately. 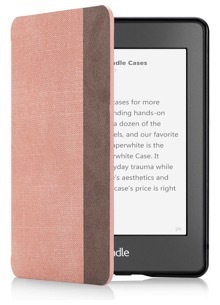 Kindle Oasis 1 features the same 1440 × 1080 px, 300 ppi display as the one used in Voyage. A single built-in battery can last up to two weeks, but with the energy from the battery cover, you can read several months without the need to recharge. The prices of 1st-generation Kindle Oasis start from $289.99 (Wi-Fi, ads). For the most expensive version – Wi-Fi + 3G, no special offers – you will pay $379.99. The Amazon Kindle is probably the least gadget-y gadget ever created. No one ever exclaims about its remarkable specs. It doesn’t need upgrading every two years. You just pick it up, turn it on, and read. Amazon’s 8th-generation Kindle is 11% thinner and 16% lighter than the 7th generation model. Kindle 8 has the same price tag as its predecessor – $79.99 – and comes in two color variants: Black and White. It’s the first Kindle that comes equipped with accessibility feature, called VoiceView, that activates via the built-in Bluetooth audio. The version of Kindle 8 without special offers is planned to be launched on July 30. What if iconic articles, stories, and essays from well-known authors and journalists were available in digital form? This is what Kindle Single Classics are about. Classic articles from the past, worth reading but hard to find, are available for $0.99 each. Kindle Single Classics launch with 140 articles, essays, and short stories. Among the authors, you will find Susan Orlean, Norman Mailer, Gloria Steinem, John le Carré, and Kurt Vonnegut. 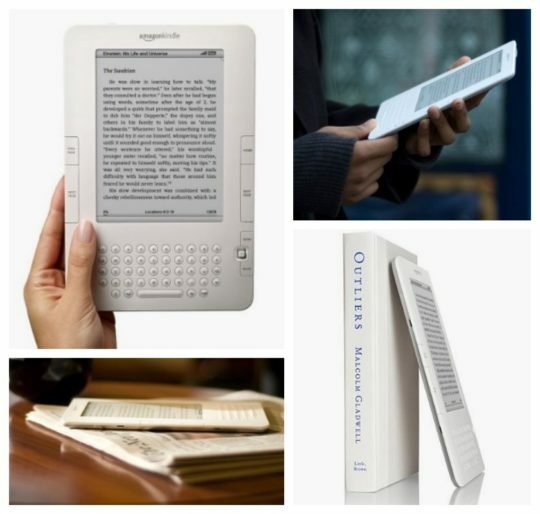 Ten years after the first Kindle, e-ink remains the best technology for the devoted e-reader. 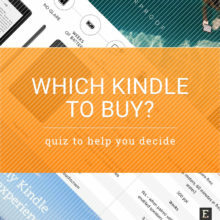 Redesigned Kindle apps for iOS and Android operating systems are launched. The apps have a unified look and set of features across the two platforms. No matter which platform you use, you will find in the Kindle app a more intuitive search, Goodreads integration, and support for Audible audiobook playback. The new thing is that you can now choose the app’s theme. You can pick up either Light or Dark look. 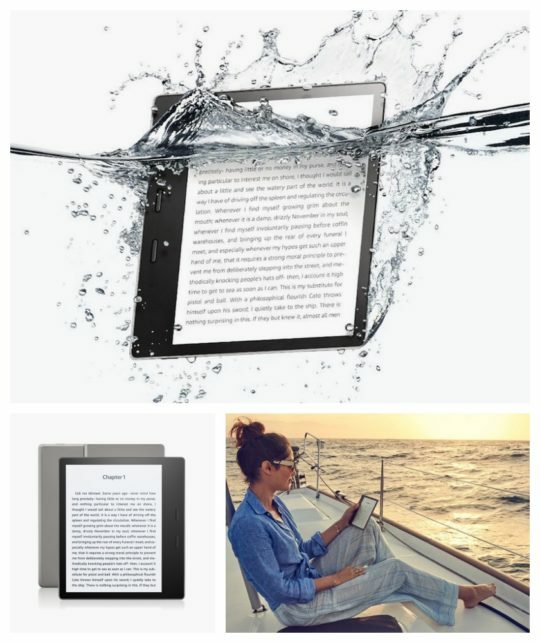 The 2nd-generation Kindle Oasis is Amazon’s first waterproof e-reader. The e-reader meets IPX8 water resistance rating. It means you can safely put it two meters under fresh water and keep for up to one hour. Oasis 2 is also the second Kindle that sports the display larger than 6 inches. Kindle DX, introduced in June 2009, had the 9.7-inch screen. With Oasis 2, Audible is coming back to Kindle e-readers. This time, however, the device does not have built-in speakers or even a headphone jack. Instead, you can listen to audiobooks by connecting the e-reader to a Bluetooth-enabled speaker or headphones. The new Kindle has much bigger internal storage than its predecessors – 8 and 32 GB. More memory is needed to hold audiobook files. The long-expected new generation of the most popular Amazon e-reader is finally arriving, with prices starting at $129.99. 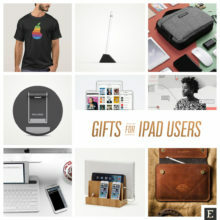 The device offers features that were most often requested by readers. First of all, the 2018 Kindle Paperwhite is waterproof. It has passed IPX8 test, and it means you can put it in 2 meters of the fresh water for 60 minutes and it will withstand it. Another most requested feature was the ability to play audiobooks. After Oasis and the basic Kindle, the 2018 Paperwhite can play Audible audiobooks and audiobook companions via connected Bluetooth-enabled headphones or speakers. There are two storage options to choose from, just like in Oasis 2017: 8 GB and 32 GB. The smaller memory variant will let you download dozens of audiobooks for offline playback. The new Paperwhite looks modern and is thinner and lighter than any Paperwhite previously released. Just like Kindle Voyage and Oasis, Amazon’s newest e-reader sports the glass front and comes with a large selection of original case covers, some of them made from water-safe fabric. The newest-generation Kindle model is announced on March 20, three weeks ahead of the official release day set for April 10. 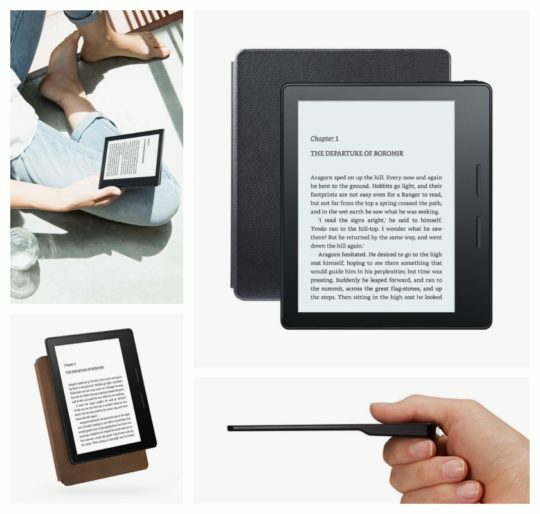 Kindle 2019 is smoother and thinner than its predecessor, comes in two color variants (black and white), offers the same internal memory of 4 GB, and can play Audible audiobooks via connected Bluetooth speakers or headphones. The biggest improvement is a front-lit display. Four LED lamps embedded in the front bezel spread light over the screen enabling you to read in the dark without the need to turn on an external source of light. The second upgrade is the display. It has the same resolution of 800 × 600 px, and the same pixel density of 167 ppi as the predecessor, but offers a better contrast. This very feature makes the price of the newest Kindle go up by $10, to $89.99, for the variant with special offers. The ad-free version costs as usual $20 more – $109.99. In a limited-time offer, a free Kindle Unlimited subscription plan is bundled with the 2019 Kindle. You can read eligible books free of charge for three months, a value of $30.